Lord Monckton officially began his tour of New Zealand on Easter Monday with meetings in Northland, and a visit to Auckland is due to begin tomorrow (Thursday). You can see Lord Monckton’s itinerary here in the menu above, or at Climate Realists. Lord Monckton of Brenchley making a point. A consummate, level-headed, moderate protagonist of the truth about global warming. On his last visit here the Greens were vociferous and vile in trying to silence him. But, after initially agreeing, they refused to debate with him because they knew they couldn’t beat him and spent the rest of their time slandering him. Look out for more nasty games this time round. Powerful opposition often encourages tactics of last resort that betray one’s frailty and vice. The Greens and warmists seem to have a surfeit of bad humour when strongly opposed. 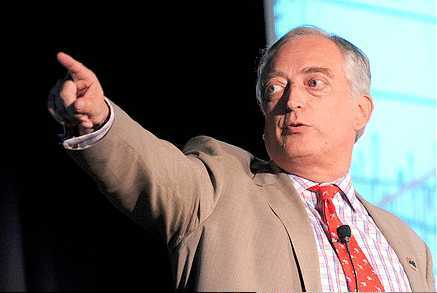 Lord Monckton of Brenchley has agreed to visit New Zealand next year for a lecture tour. The Australians just invited him back, and he has agreed to include NZ. Dates have not been set, but planning is under way, under the expert guidance of Esther Henderson, from Climate Realists. The Public Relations Institute of NZ (PRINZ) has thrown in the towel, quitting their promised hosting of Christopher Monckton’s Auckland debate on Thursday night. This event is over. It was a great success, with as many turned away as were admitted. The Climate Realists have confirmed that Lord Monckton has agreed to come here following his Australian tour. Donations have been received to cover his expenses. There are some engagement details on the CR web site with more to be confirmed. 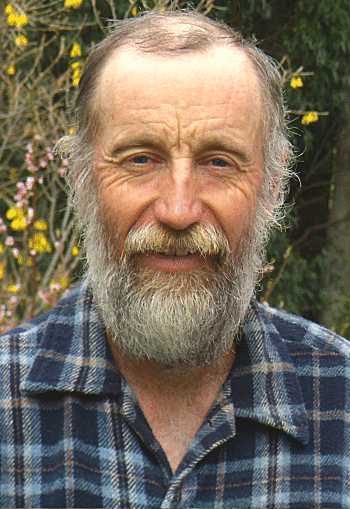 The Gisborne Herald of 12 January, 2011, carried the following letter from my good friend Neil Henderson, founder of Climate Realists, and who has kindly consented to this republication. We might all learn from Neil’s wonderful political instincts. I could mention that the 23% Neil mentions, by which our present emissions exceed our 1990 emissions, match the population increase we have experienced since then. Nick Smith doesn’t mention it, though. 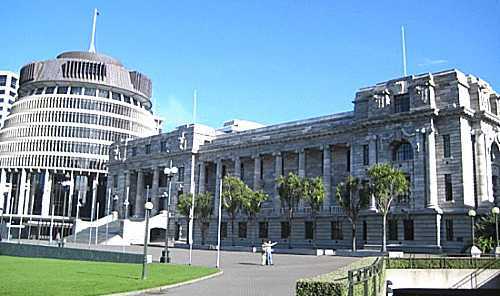 THE terms of reference for the 2011 review of the Emissions Trading Scheme (ETS) have been announced. The need for an ETS in the first place is not up for review, so one must ask “why bother having a review?” If Minister Nick Smith and his colleagues are so convinced the science is settled on Anthropogenic Global Warming (AGW), then why do they not get on with the action instead of fluffing around? Let me illustrate with an analogy. Suppose river flow experts told us that the Waipaoa river system was changing in such a way that the present flood protection system would allow Gisborne to be flooded so often in 50 years that the city would be unsafe to live in. They further calculated that to maintain the present level of protection the stopbanks would need to be raised two metres. It is obvious that if we decide to only raise the banks by half a metre, our city would be in grave danger of regular flooding. The heading dog, symbol for Climate Realists at the Climate Conversation Group weblog, shows how a protest engages the attention of politicians, who all turn to look. The politicians are of course wondering if the nice doggy wants to bite them, but they are also thinking furiously what they might do to change its mind. Esther and Neil Henderson, the hard-working people behind Climate Realists NZ, want you to know about a major protest march at the Parliament aimed at ending the stupid Emissions Trading Scheme (ETS). If you can be in Wellington to support the anti-ETS march on 22 June, please give this notice some prominence on your website and spread it around by email. Please note some of the details have changed slightly from earlier notices — you should use the details given here. Esther reports that so far they have had an excellent response from lots of people and they are hopeful of a good turnout on the day, with trucks and tractors from the farmers to add colour and noise. Come along and help make it a “cannot-ignore” event for the politicians! Below this point is a rough interpretation of Esther’s latest announcement. It’s rough because it didn’t take too kindly to the transition from Word to html. I should spend some time tidying up the html, but it looks quite funky and it does tell you everything you need to know, so I’m not touching it. Contact details are at the bottom. PS: I did make one change to Esther’s notice. Since there is, strictly speaking, no such time as “12 pm”, I changed it to “12 noon”. I hope Esther forgives my impertinence and I hope they’re not intending to meet at midnight. A loyal New Zealand heading dog, famed throughout the hinterland for its invaluable work on the farm and its contribution to national prosperity. Agile, intelligent, assertive and hard-working, it provides a splendid and appropriate symbol for Climate Realists. I finally got the latest Climate Realists’ newsletter posted, and a warm welcome to them from us. We look forward to working with them to spread news about global warming and defeat the lame-duck, senseless ETS. The Climate Realists have their own button on the navigation bar, above. They’re really lively, go-ahead young people from a sheep farm out of Gisborne. They have many dogs. Neil and Esther are hard-working, practical people, and when they say there’s something wrong with the idea of global warming we should listen to them. Their newsletter includes every news item on every subject from around the world during the past month (that was deliberate exaggeration). It’s varied and interesting and you’re sure to find something in it to enjoy.